The CPUs of Gamindustri have been enjoying high school life as students of Gamicademi – at least until their classmates start turning into zombies. 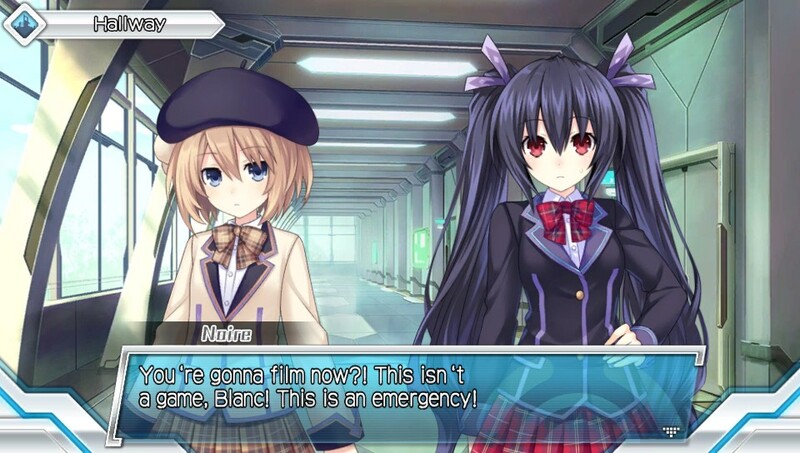 Whilst everyone bands together to fight the undead menace, Blanc and Neptune lead the Film Club in capturing the action to be edited into a zombie movie. There probably isn’t a gamer alive who sees “v. Zombies” in a game’s title and doesn’t expect some sort of tower defence title, but in this case, you’d be sorely misled. MegaTagmension Neptunia is actually an action battle game that uses the same engine as last year’s Hyperdimension Neptunia U – except in this case, you’ll be beating wave after wave of zombie enemies. Like its predecessor, the game is split into a series of short missions, in which you choose two of the CPUs and fight your way through various zombies and bosses based on the standard Neptunia enemies – complete with special attacks and devastating HDD transformations. 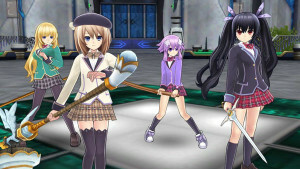 All ten playable characters from Neptunia U are present, plus four new faces: Plutia and Peashy from Neptunia V, Uzume from Neptunia VII, and the all-new Tamsoft. Each character offers a slightly different play experience, but the game never really encourages you to experiment – if you want to stay at the right level to beat the single-player story, it’s best to just focus on one main character. With its short levels and limited variety of maps, the single-player experience doesn’t take too long to complete. As far as difficulty goes, the greatest adversaries are not the enemies themselves, but the in-game camera and controls. The camera often gets stuck in an awkward position during combat, and the fact that camera reset and lock-on are mapped to the same key often make for a frustrating experience. Controls also feel a little sluggish, which makes both navigating menus and responding quickly in a combat a bit of a chore – for example, I could never pull my character out of a combo in time to guard, and had to rely on dashing away to evade attacks instead. 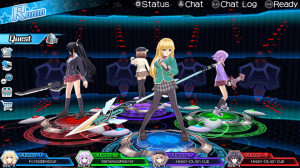 One new feature offered by this game is Neptunia’s first ever multiplayer mode, which lets you play quests with other local or online players. It’s possible to do these quests alone if, as is likely, no one else is around to play with you, but it’s a nice enough option to play around with. When it comes to plot, we’ve learnt not to expect much from a Neptunia game, but MegaTagmension Neptunia feels especially phoned in. The framing device involves filming a real zombie invasion and editing it into an award-winning, and is so poorly written that it should really just be skipped at all opportunities. 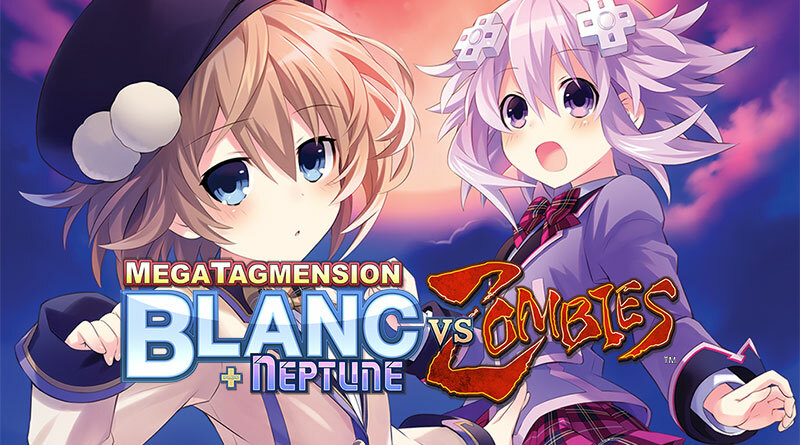 Given its zombies at school setting, MegaTagmension does feature some slightly modified designs for both its heroines and monsters, but overall this is just the barest of facelifts for the existing Neptuni assets. Similarly, the sound effects and background music are nothing we haven’t heard before. Although it attempts to mix things up a bit with a multiplayer mode and a handful of new playable characters, ultimately MegaTamension Neptunia is just a poor retread of Hyperdimension Neptunia U. It’s the kind of thing you might purchase if you saw it at the bottom of the bargain bin, but given the lack of effort put in by the developers, it’s definitely not worth full price.